Greece (the Hellenic Republic) is a country in southern Europe. 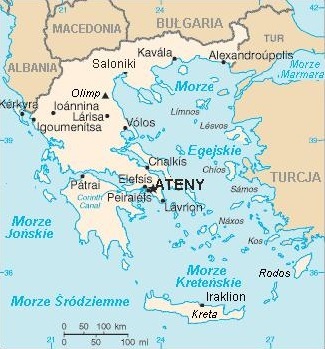 The mainland of Greece borders Albania, Bulgaria, Macedonia, and european Turkey, and has shores on the Ionian Sea (to the West) and the Aegean Sea (to the East) which are of course both parts of the Mediterranean Sea. Additionally, Greece incorporates a large number of islands in the Mediterranean, the largest of these being Crete. As of 2007, the population of the country was an estimated 11,170,957. 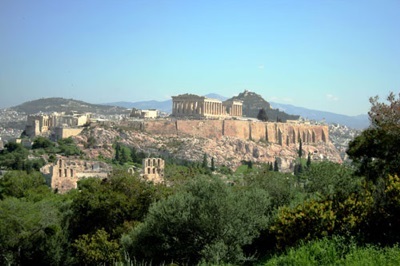 By far the largest city in the country is the capital, Athens, which has about 3.8 million people living in its metropolitan area. There are also many other cities in the country, include seven with populations over 100,000: Iraklion (Heraklion), Kallithea, Larissa, Patras, Peristeri, Piraeus and Thessaloniki (Salonica). In the 1950s, 1960s, 1970s, the Greek economy grew very fast at an average of 7% per year. This laid the foundations of Greece's modern capitalist economy and high standard of living. In 1981, Greece joined the European Union, and in 2001 joined the euro zone and adopted the euro currency. The financial crisis of the late 2000s has however hit Greece hard, and a tough program of austerity measures was necessary to cope with huge government deficits. 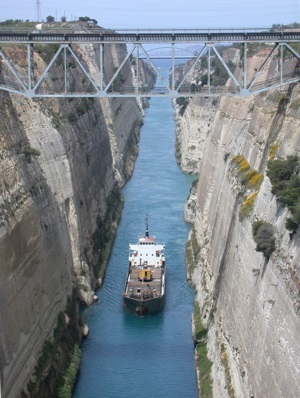 Greece is very popular as a vacation destination. The country is home to numerous famous historic sites, and there are also many beach resorts, tavernas, and other facilities that make the country very popular with tourists and holiday-makers. This book was written specifically for the purpose of experiencing the Greek life as a cultured Greek might wish to.This travel guide aims to give a comprehensive overview of Greece, for the benefit of those who are planning on visiting. It is full of insider’s knowledge, so as help you see the country on a shoestring.As a student with limited funds, yet have an unlimited thirst for adventure, I have discovered a number of economical shortcuts, which will allow you to see everything while remaining firmly within budget.All the major sights are included, but many hidden, often neglected attractions are highlighted here. This guide will take you on a journey through the whole of my country So in conclusion, get ready, get your backpack and have fun.